Are you a Consultant Gastroenterologist? 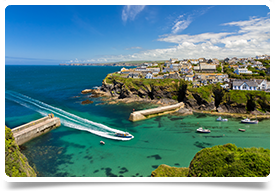 Can you see yourself enjoying the warmest temperatures, sandy beaches and stunning backdrop of Cornwall? The team at the Royal Cornwall Hospital are looking for an additional consultant to join them whilst they develop and expand to deliver care for the population locally. Hepatology experience preferred but not essential. Being a scenic and rural county, many specialist services have adapted, making the hospital unique in its delivery of health care. 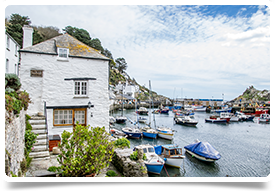 Cornwall will offer you a relaxed environment, breath-taking views and a great pace of life. This is a fantastic opportunity to join a dedicated and supportive team in one of the most sought after areas of the UK. You may be in a substantive post already and looking to get away from the hustle and bustle of the city or you may be an overseas doctor looking to return to the UK. The salary is based on experience & will pay between £77,000–£104,000 plus a relocation package if required. To apply for this post you will need to be GMC registered with a current license to practice and if you have GMC but it is inactive, you will be fine to apply on the basis you will reinstate by start of post.